The International Association of Fire Chiefs (IAFC), through their Safety, Health and Survival Section and in cooperation with the Emergency Responder Safety Institute, are urging all fire chiefs and officers to immediately issue a safety and survival alert in their departments. During an emergency safety and survival alert, personnel are urged to postpone non-emergency tasks to focus on critical safety and survival training. During this period, we are hoping to remember the many brothers and sisters whose lives have been lost working on our roadways due to multiple incidents of personnel and apparatus being struck. Responders being struck on our roadways have become an almost daily occurrence. 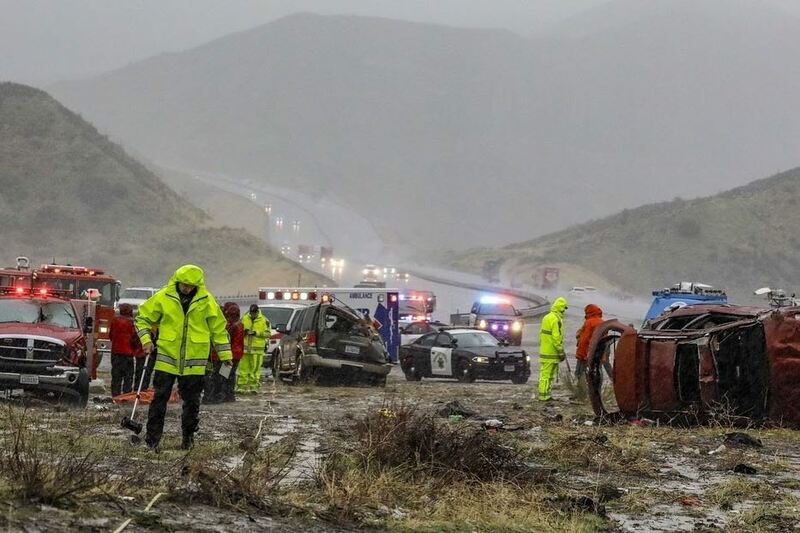 Eight first responders were injured and one was killed in Southern California on Saturday morning, 2 February 2019, while they were assisting at the scene of a vehicle rollover on Interstate 5. 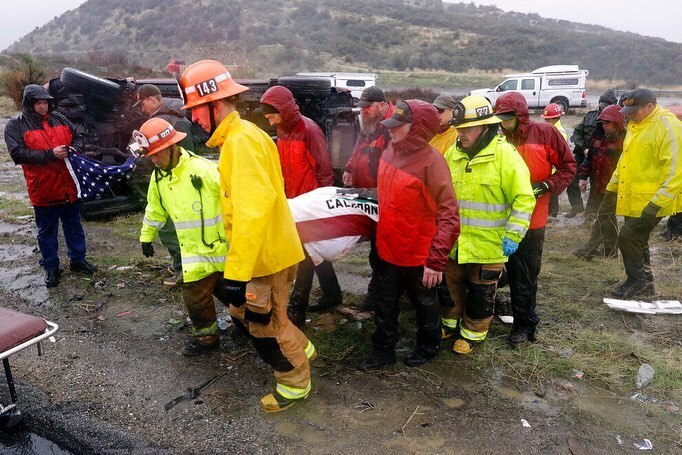 The person killed was a member of the Ventura County search-and-rescue team. 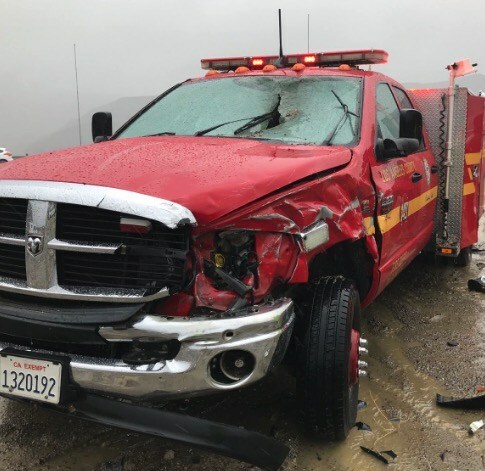 Los Angeles County fire fighters were assisting the sheriff’s department with the rollover crash that left first responders “severely” injured. Three of those hurt in the accident were members of the Fillmore search-and-rescue team, the sheriff’s department said. The group was on its way to Mt Pinos for a training exercise when they saw a crash on the freeway and stopped to help, the sheriff’s department said. “While they were assisting people, a vehicle plowed into the scene,” Ventura County Sheriff’s Sgt Eric Buschow said. 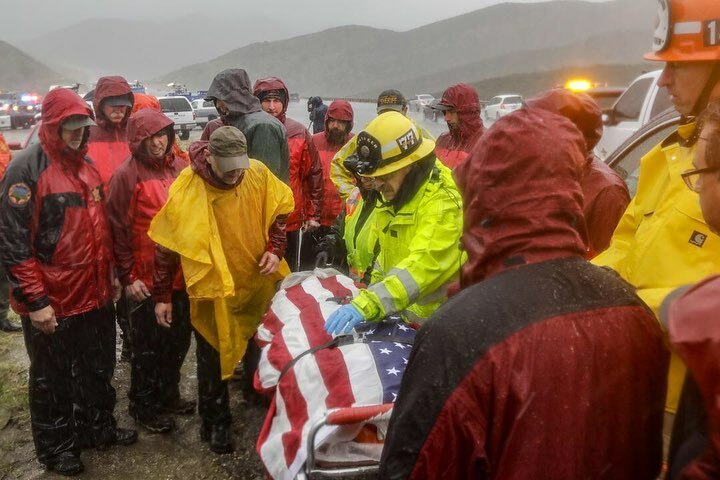 The Fillmore Mountain Search and Rescue Team is composed of a group of “highly skilled volunteers” who respond to wilderness emergencies in Ventura County, Buschow said. The IAFC’s Near Miss Program collects and shares fire fighter near-miss experiences, allowing others to learn from these experiences. There are a number of reports available about personnel and apparatus struck while operating on roadways, sharing valuable information about how these incidents occurred and how they can be avoided in the future. The Emergency Responder Safety Institute offers a single portal with an online network for training, with the defined goal of protecting our responders on the roadway; ResponderSafety.com hosts the ResponderSafety Learning Network. 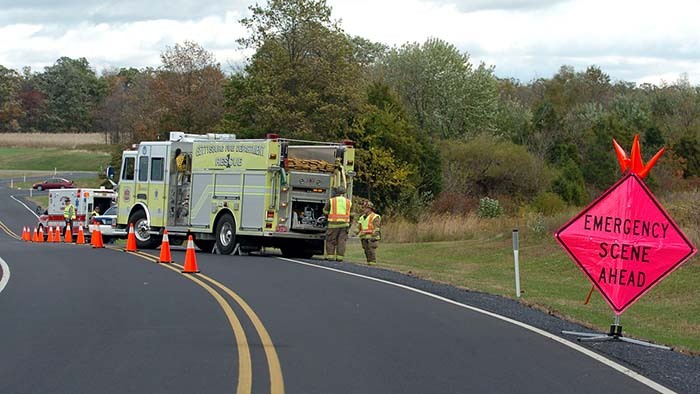 These sites offer a variety of resources to aid in training fire fighters to be prepared for the dangers associated with roadway responses, including online modules and certificates for completion. The ResponderSafety Learning Network also delivers the Federal Highway Administration National Traffic Incident Management Certificate. There is no cost for any of the training or materials. We are losing too many fire fighters and other responders to the battleground we call roadways. Take a leadership position during this safety and survival alert and protect your people with valuable education and training.